In the span of last week, the world witnessed the moving tales of empathy, sacrifice and acceptance orchestrated by the Pacific nation of New Zealand in the wake of a gruesome terrorist attack. Leading the way to console the small Muslim minority in the country, Prime Minister Jacinda Ardern showed to the world how broken hearts and terrified souls are healed. 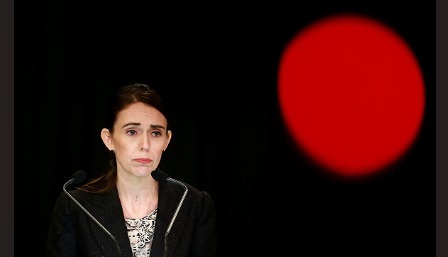 The Kiwi premier’s handling of the tragedy has been heart-warming right from the initial moments of realising the magnitude of the havoc caused by the mass shooting at a Christchurch mosque by a white supremacist. At least 50 civilians, including women and children who were busy praying, were indiscriminately sprayed upon with bullets by a shooter who has been charged by the court and condemned to obscurity by the upright members of the society. From her warm hugs to victims’ families to new strict gun-control legislation, Ardern has profoundly bridged the gaps among members of an increasingly diverse yet globalised world facing the barrage of hatred and divisions. Following her footsteps, the entire nation of New Zealand stood by their Muslim country-mates and migrants during the maiden Friday prayers after the March 15 carnage. In addressing the public, Ardern chose to read out a hadith of Prophet Muhammad, „The believers in mutual kindness, compassion and sympathy are just like one body. When any part of the body suffers, the whole body feels pain“. Now, a similar or worst tragedy should not be awaited for in other parts of the world to reciprocate such a noble gesture by the Kiwis. Many Muslim countries such as Pakistan, Turkey and Iran have rightly praised the Kiwi response to the situation after the Christchurch terrorist attack, but overall the Muslim-majority countries and the international community as a whole has a lot to learn from New Zealand. Be it religious, ethnic or other minorities or migrants, refugees or other marginalised groups of people, the respective governments, or the collective societies, all have the responsibility to protect and promote their rights and liberties.